"We didn't believe it at first," said Yeung, the lead author of the study and an assistant professor of Earth, environmental and planetary sciences at Rice. "We spent about a year just convincing ourselves that the measurements were accurate." The story revolves around nitrogen, a key element of life that makes up more than three-quarters of Earth's atmosphere. Compared with other key elements of life like oxygen, hydrogen and carbon, nitrogen is very stable. Two atoms of it form N2 molecules that are estimated to hang around in the atmosphere for about 10 million years before being broken apart and reformed. And the vast majority of nitrogen has an atomic mass of 14. Only about 0.4 percent are nitrogen-15, an isotope that contains one extra neutron. Because nitrogen-15 is already rare, N2 molecules that contain two nitrogen-15s—which chemists refer to as 15N15N—are the rarest of all N2 molecules. The new study shows that 15N15N is 20 times more enriched in Earth's atmosphere than can be accounted for by processes happening near Earth's surface. "We think the 15N15N enrichment fundamentally comes from chemistry in the upper atmosphere, at altitudes close to the orbit of the International Space Station," Yeung said. "The tug-of-war comes from life pulling in the other direction, and we can see chemical evidence of that." Co-author Edward Young, professor of Earth, planetary and space sciences at UCLA, said, "The enrichment of 15N15N in Earth's atmosphere reflects a balance between the nitrogen chemistry that occurs in the atmosphere, at the surface due to life and within the planet itself. It's a signature unique to Earth, but it also gives us a clue about what signatures of other planets might look like, especially if they are capable of supporting life as we know it." The chemical processes that produce molecules like N2 can change the odds that "isotope clumps" like 15N15N will be formed. In previous work, Yeung, Young and colleagues used isotope clumps in oxygen to identify tell-tale signatures of photosynthesis in plants and ozone chemistry in the atmosphere. The nitrogen study began four years ago when Yeung, then a postdoctoral researcher at UCLA, learned about a first-of-its-kind mass spectrometer that was being installed in Young's lab. The difference in mass between nitric oxide and 15N15N is about two one-thousandths the mass of a neutron. 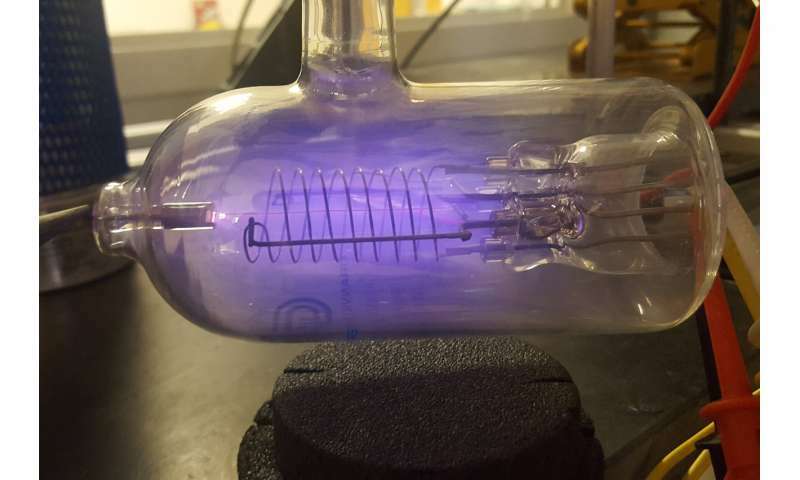 When Yeung learned that the new machine in Young's lab could discern this slight difference, he applied for grant funding from the National Science Foundation (NSF) to explore exactly how much 15N15N was in Earth's atmosphere. 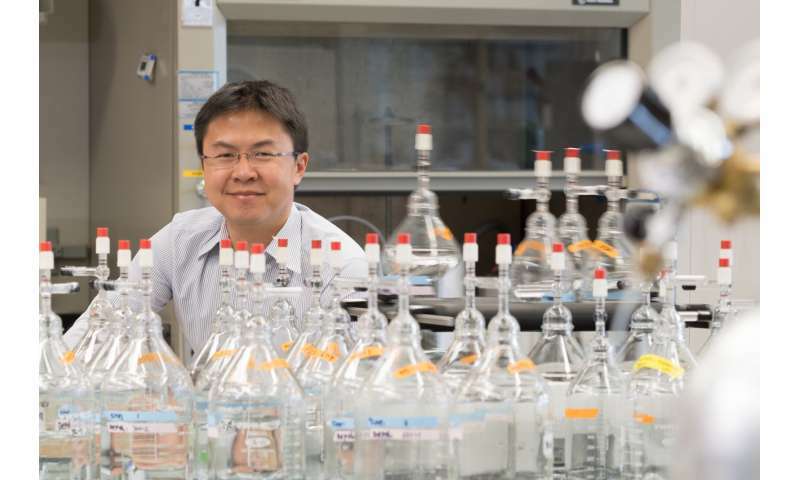 "Biological processes are hundreds to a thousand times faster at cycling nitrogen through the atmosphere than are geologic processes," Yeung said. "If it's all business as usual, one would expect that the atmosphere would reflect these biological cycles." The team eventually found that zapping mixtures of air with electricity, which simulates the chemistry of the upper atmosphere, could produce enriched levels of 15N15N like they measured in air samples. Mixtures of pure nitrogen gas produced very little enrichment, but mixtures approximating the mix of gases in Earth's atmosphere could produce a signal even higher than what was observed in air. "So far we've tested natural air samples from ground level and from altitudes of 32 kilometers, as well as dissolved air from shallow ocean water samples," he said. "We've found the same enrichment in all of them. We can see the tug-of-war everywhere." The gas inside must be 40 or 50 millitorr, my guess and I hope they were using an oilless pump or maybe a turbo pump. I would like to see the whole assembly. The paper is free access. Scroll down to 'Materials and methods'. No pics, but a description. Scroll down on this page at the bottom you have a diaporama.